Is to encourage each American citizen to discover, claim, and then use the power, the privilege, and the opportunity provided by their federal inheritance and civil right of ownership and management authority of this nation as defined by our legislated American Social Construct. We ask each American citizen to put this patented opportunity to work by building an Exclusive on-line Community of American Owners dedicated to fulfilling the terms of the American Social Construct as intended by the Founding Fathers. The Owner Manager Community is a tool that will help you improve your life, the American Culture, and prevent and repair foreign interference in America. So that you, the Owner Manager, can login and actively use your contractual ownership rights, powers, and privileges to alter the management, operation, conduct, and policies of your employee government by forming a consensus on these issues, one at a time, so that "We the People" can more clearly communicate, guide, and instruct, our employees and to hold them accountable, 24/7. We believe in truth, in personal responsibility, in freedom and in the opportunity of each human life. We believe in the unalienable rights of humans, in the equality of each human under federal law and in the American social construct. We believe in the rule of law as exemplified by the federal civil right of each American citizen to claim and use their lawful authority to direct and manage by voting; all of the issues, all of the policies, all of the actions of their employee government and to hold them accountable. We believe in a society where all citizens are encouraged to participate actively in the political, civil, civic, economic, and cultural aspects of their life. We believe in helping people and communities communicate, debate, form consensus, and press for change on their own behalf. We believe in challenging ourselves and others to grow mentally by rejecting physical violence while striving to improve communications, understanding, and commonality so that humankind will grow, learn and evolve to a higher level. 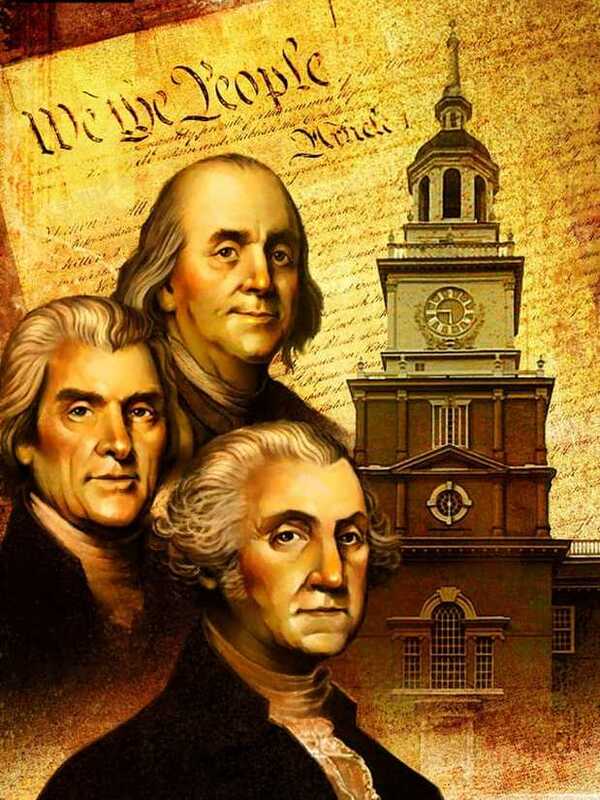 ​The Founding Fathers of this Nation were so brilliant that 241 years ago, they anticipated that the day would come when more than 87% of Americans would be dissatisfied with their employee government’s poor, faulty, and unlawful management. They predicted that the two-party system would be gridlocked in a power struggle, and that this would tear the nation in half, resulting in the fragmenting of the “United” States. Believing this, the Founders provided you with a method to enforce a change in the conduct of your government employees and the day to day operation of the government that you own. The two- party system is not the problem, the gridlock it produces is. So, they provided the solution and it is you, being an organized Owner Manager. But the Founding Fathers did not have the technology to solve that last problem, how to connect the Owner Managers to each other in real time. The Founding Fathers knew what a union is, but they did not know exactly how it would be accomplished, or what year it would be achieved, but they had faith that We the People would find a way to Unite as Owners and stand together for the good Management and lawful operation of our United States of America. You will make history by building this community and you can change the course of American History by Evolution, Not Revolution. Image of Independence Hall, Benjamin Franklin, Alexander Hamilton, and George Washington with the Constitution in the background. Alexander Hamilton was a Founding Father. The Broadway Show "Hamilton" is a great way to learn about his life. By using this link, you will leave this site and discover who Lin-Manuel Miranda is. You are this important, you are the Owner, you are the Manager. The future belongs to the Owners who work in the present to make America better by investing something of themselves in it now through good Management. And that is what we believe. The American Social Construct operates under federal law. You are the Owner by this legislated federal construct and OwnerManager.org is your community and it is a tool that can improve our American Political culture. You can think of this tool as your on-line body with hands, feet, and voice that speaks to and works with your employees to fix what is broken. ​what it has to say to your employees and the World. With it you can take on any issue and solve it by the consensus of the community. Clearly, "We the People" will not unify as republicans, and "We the People" will not unify as democrats. However, "We the People" can Unify as Owners; because this is a "Higher Calling". ​As Owners, "We the People", can and will find and mandate solutions to the issues that gridlock our employees. Example: Is your new employee president above the Constitutional Law that you must obey? What say you? This is how the Founding Fathers wanted the Owner Managers to organize, so that your government employees; City, County, State, and National will respond to your needs, desires, and instructions. You can and you should do this. It is only possible on line, it is cost effective, because everyone can attend, everyone can participate, and everyone can be heard before a decision is made. There is No travel, just transparent, competent, effective, efficient, results. ​The Owner Manager Community is evolutionary. Claiming your Inheritance is this important! Now, you the Owner, can actively Build America Better Every Day by fixing what is broken, even on your iPhone! Because you can and because you should, for your kids, for your family, and for your country. You are the Owner, do it for you. I did this. So, I know I can, and I am sure you can too. So, let's put our cans in gear and get this working together. ​Scroll down to some Quick Links and a Search Box. There is a Separate FAQ page: Things you might be asking yourself right now.